Another study has reinforced the possible health benefits of coffee, this one claiming that it may reduce the risk of age-related cognitive decline, including Alzheimer’s and Parkinson’s disease. New research from the Krembil Brain Institute in Canada shows that coffee could protect the brain against developing Alzheimer’s and Parkinson’s disease. “Coffee consumption does seem to have some correlation to a decreased risk of developing Alzheimer’s disease and Parkinson’s disease,” Dr Donald Weaver, co-director of the Krembil Brain Institute said in a statement. Researchers studied the effects of different blends and roasts and found that darker roast better protected against cognitive decline. Even decaffeinated dark roasts had positive effects, so it's not just caffeine that promotes positive long-term health outcomes. Compounds known as phenylindanes found in coffee are known to prevent two proteins common in Alzheimer’s and Parkinson’s from clumping. Darker roasts have higher quantities of phenylindanes and lower levels of caffeine. “It’s the first time anybody’s investigated how phenylindanes interact with the proteins that are responsible for Alzheimer’s and Parkinson’s,” said Dr Mancini. “It’s interesting, but are we suggesting that coffee is a cure? Absolutely not. I'm very very happy to read this Leon and will continue with my 2 cups a day. The only thought I had about a possible downside was if coffee was bad for the kidneys. As I rarely drink a lot of anything else perhaps this may be a hidden trap. I'm sure research will come out with anything later on if applicable. Until then I'll have sugar (ouch) with that. Bad for your liver more like it. My day does't start until I have had at least two cups of coffee. Used to be a couple of cigarettes too, but I packed them in 16 years ago, maybe thats why I'm still here!! You've just won me a bet MICK, thanks. I bet my wife you would be the first to post and you did. That's a pint or 3 I owe you. "Another study has reinforced the possible health benefits of coffee, this one claiming that it may reduce the risk of age-related cognitive decline, including Alzheimer’s and Parkinson’s disease." Yep, I can well believe that especially after reading the effect it had on some Ethiopian goats. Legend has it that Kaldi, a lonely goat herder in ninth-century Ethiopia, discovered the energising and invigorating effects of coffee when he saw his goats getting excited after eating some berries from a tree. Kaldi told the abbot of the local monastery about this and the abbot came up with the idea of drying and boiling the berries to make a beverage. He threw the berries into the fire, whence the unmistakable aroma of what we now know as coffee drifted through the night air. The now roasted beans were raked from the embers, ground up and dissolved in hot water: so was made the world’s first cup of coffee. Who am I to argue with Kaldi? And there's me thinking it was MICK that dicovered coffee, how wrong could I be. Hope the researchers are right because I love coffee in any thing! I thought the Italians invented coffee, at least that's what my nonna used to tell me! Your nonna was partly correct Ray. The Italians brought espresso to Australia. That was a good day my friend. I admit to being addicted to coffee after stopping smoking, so I hope the reports are correct. I was diagnosed 2 years ago at age 63. Symptoms were tremor in right leg, loss of handwriting ability, and soft voice. I also have difficulty rising from a seated position and have balance issues. I started out taking only Azilect, then Mirapex, and 6 months ago Sinemet. Several months ago I started falling frequently, hence the reason for Sinemet. I tried every shots available but nothing worked. In June 2018, my neurologist and I decided to go with natural treatment and was introduced to Natural Herbal Gardens natural organic Parkinson’s Herbal formula, i had a total decline of symptoms with this treatment, the Tremor, falling frequently, stiffness, body weakness, balance issues, depression and others has subsided. Visit Natural Herbal Gardens official website ww w. naturalherbalgardens. com. This treatment is a breakthrough for all suffering from Parkinson’s, don’t give up Hope. Keep Sharing the Awareness, herbs are truly gift from God. Coffee will dehydrate your liver, and does not have anymore benefits than a good wholefood diet with lots of veg and fruit. I would suspect that this is coming form the coffee industry who are out to protect their own interests. One of the best things I ever did was give up coffee, save heaps of money, sleep better, a much calmer person than I was, and no cravings. A British Liver Trust report (published June 2016) ‘Coffee and the liver – the potential health benefits’ confirms coffee is good for liver health. It is the first time that the entire body of current research and evidence has been reviewed and compiled into a single report. 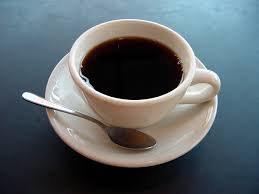 Drinking coffee can slow the progression of liver disease in some patients. If you're worried about your liver..having a healthy intake of water daily helps! Off to have a caffe macchiato and a toasted cheese and lean bacon sandwich. My liver gave me permission! Sophie, sorry I don't believe in that research you cited. Water alone does not cure liver problems, lots of fresh fruit and raw juicy vegies can make a big difference, and no coffee or alcohol helps a lot. I have been reading "Liver Rescue" by Anthony Williams it is a real eye opener, you can't make it up what he writes. I don't need coffee industry funded research.